Glide cam shot of male running over rocks. hd00:22Hiker Man Hiking Walking Forest Cliffs. National Park in Russia Hiking Trail. Teen Travel Summer Vacation Hiking Trail. Tourist Man Travelling Sumer Hiking. Active Lifestyle Recreation Activity. 4k00:13Woman hiking around mountains in the summer forest. Traveler girl with backpack walk on nature outdoors. Tourist hiking on rocks in national park. Trekking, travel concept. Hiker, healthy lifestyle. 4k00:18Mountain biking on gravel road. Point of view. hd00:30Glide cam shot of male walking through small creek. hd00:28Man finishing setting up his tent for camping. 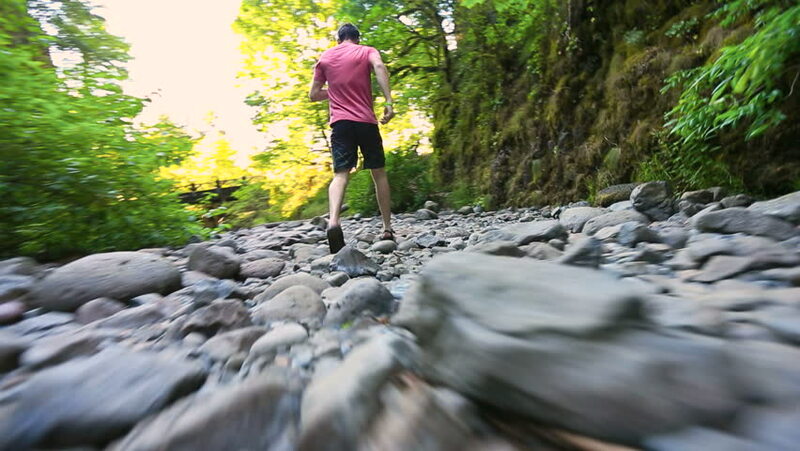 hd00:24Glide cam shot of male walking over rocks and creek. hd00:24Glide cam shot of male climbing down large rock and walking through small creek. hd00:28Glide cam shot of male walking through small creek.